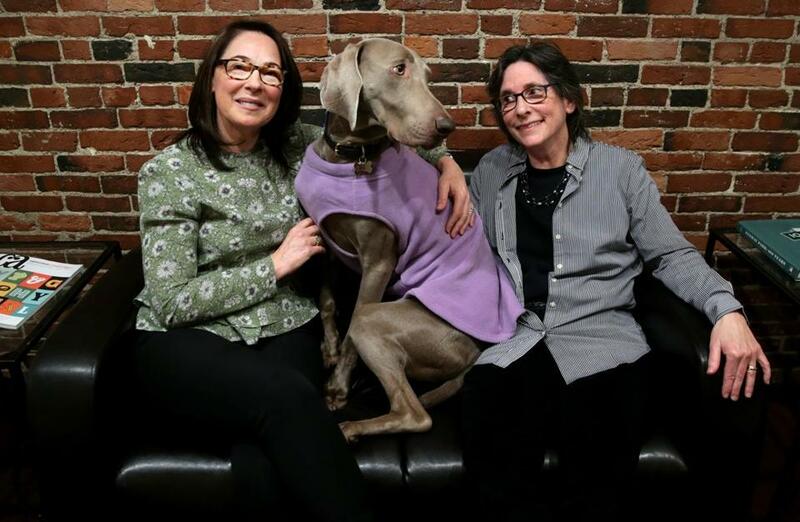 Jodi Andersen (left) and Mary Ann Zeman, cofounders of How I Met My Dog, in Boston, with Finn, a Weimaraner. How I Met My Dog uses software based on Andersen’s quarter-century of experience with training dogs. Like a canine version of the human dating service eHarmony, the site features a detailed questionnaire that asks dozens of questions about a potential pet owner’s tastes and interests. On the flip side, each dog’s current caregiver must provide equally detailed information about the animal’s habits and behavior patterns. The goal is to match up would-be dog owners with pets they won’t regret taking home. Her new venture seeks to solve the problem of “rehoming,” the need to find a new owner for a dog that doesn’t get along with its human masters. “There’s over 500,000 a year that need to be rehomed,” said Andersen. Many end up going to animal shelters, where they’re often euthanized because no one has stepped forward to adopt them. How I Met My Dog aims to encourage more adoptions, while ensuring that owners get a dog that’s compatible with their lifestyles. The service was launched this week in Boston and the rest of New England. How I Met My Dog will be rolled out gradually across the rest of the United States. The service is free while the service is in startup mode. Afterward, it will charge $49 to match would-be owners to available pets, and $75 to a current dog owner who wants to rehome the pet. Animal shelters can list their dogs at no charge. How I Met My Dog is a virtual company. Andersen is a resident of Long Island, N.Y. Her cofounder, Mary Ann Zeman, lives in Connecticut, while Alana Mahoney, who manages the company’s relationships with pet shelters, serves on the board of the Massachusetts Animal Coalition and lives in Hopkinton. In addition, Massachusetts-based designers and software engineers built the company’s website. 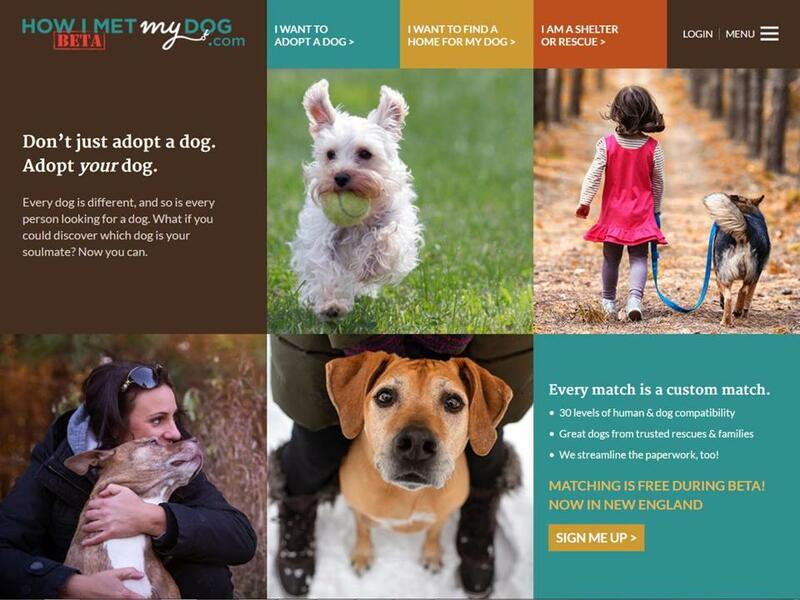 How I Met My Dog uses software based on Andersen’s dog-training experience to match up potential pet owners with people seeking new homes for their dogs. Andersen said she has received inquiries from 400 animal shelters throughout the United States that are interested in trying out the new service. She hopes to accommodate them, and many more.